Should Restaurants Serve Controversial Foods? Should restaurants serve foods that a subset of the population finds distasteful? Animal rights activists think not, especially with regard to foie gras, that supposed delicacy made from the fattened livers of geese and ducks. To be fair, activists don’t just find foie gras distasteful, they think it’s unethical — though the ethical framework from which they draw that conclusion is far from uncontroversial itself. So, are they justified in pressuring restaurants to stop serving it? And more importantly, what methods are they justified in using to do so? One of Ottawa’s most celebrated restaurateurs swore off serving foie gras Wednesday following a targeted campaign by animal rights activists who aim to erase the controversial delicacy from menus across the city. After months of finding himself on the receiving end of protests, dozens of abusive phone calls and hundreds of e-mails — many of them aggressive and even threatening — Stephen Beckta told the Ottawa Animal Defense League he would no longer serve foie gras once his supply runs out. Though Beckta was the immediate target, the activists hope other restaurants will get the message. As one of them put it, apparently without irony, “I hope that the compassionate vibe will just catch fire and they’ll take it off voluntarily.” Of course, there’s no evidence that compassion has anything to do with this (or any other) restaurant’s decision, in the face of bullying. Or going one step further, should retail stores stock controversial merchandise for sale to the general public? Yes, exactly, that’s the right question to ask next. And then add the question about what tactics are permissible to get the store to stop. So, a good question for the animal-rights activists in this story: would it be OK for a group opposed to THEIR activities to protest in front of a bookstore that sells how-to books for protesting, monkey-wrenching, confronting riot police, freeing laboratory animals, etc.? I mean, you could probably get a bookstore to stop selling such controversial books if you really bullied them. Are the practices illustrated in the fois gras story acceptable, if generalized? 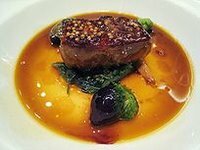 I think it’s great to hear that restaurants are removing foie gras from their menus. What you didn’t mention is that another restaurant in Ottawa removed foie gras after learning how it was produced. Also, smoking used to be acceptable, but a bunch of moralizing, bullying people have made smoking into a marginalized practice. And for good reason. Looking back on the foie gras arguments (and all factory or intensive farming) will we still think of this as bullying? Thanks for catching the spelling error. Fixed. I’m glad about the result, too; I’m just not glad about the tactics. I recall debate over smoking in restaurants; I don’t recall bullying. But I may be under-informed on that. And just to be clear (in case anyone thinks what you said sounded like an accusation) I “didn’t mention” the other restaurant because I didn’t know about it. I don’t see it in the story I was commenting on. I actually find it pretty hard to believe that there’s a chef serving foie gras who doesn’t know how it’s made. If you have a link to back that up, I’d appreciate if you’d post it. One of the ardent defenders of foie gras in my city hadn’t ever visited a foie gras farm until people started protesting outside of his restaurant. So I think it’s more common than we would like to think that the people we entrust with knowing about food production don’t know the full story. I work with a couple of people who were involved in anti-smoking campaigns 20 years ago – the same accusations were leveled against them of intimidation and harassment. I don’t have urls handy to back that up, just the stories they’ve told me. It would be interesting to hear what would be a positive method to try to stop the practice of force-feeding (and other cruelties)? Considering Canada’s animal cruelty laws haven’t been updated in over a century and don’t apply to animals on farms, I don’t think legislative action would be of any real use. How much awareness would be raised about the issue if there weren’t any controversy with the methods of the protesters? Would anyone have written a story about it? Likely not.